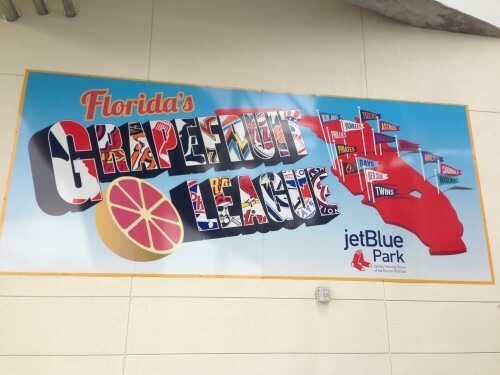 This entry was posted on Tuesday, February 26th, 2013 at 9:06 pm	and is filed under Spring Training, Uncategorized. You can follow any responses to this entry through the RSS 2.0 feed. You can leave a response, or trackback from your own site. 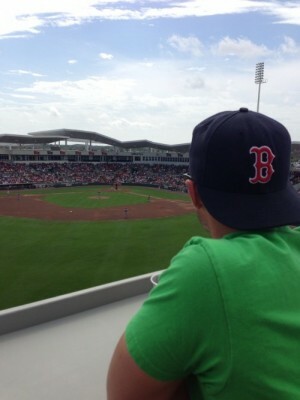 I always find it amazing how much jetBlue Park looks like Fenway Park.. Quite remarkable really. Im assuming the final 3 spots are Sam, Chefdick and Dennis? If I can auto-draft I may make my comeback from fantasy retirement. Side note- fantasy retirement is a great way to describe my day to day activities. If a spot needs filling let me know, but, I don’t want to take away a more eager fantasy leaguer. Thanks Dylan… You know how it is. We have ten guys that have committed to playing, but are slacking when it comes to actually signing up. Did anyone notice Blowin’ in the wind….It’s a Dylan song! Get it Bob Dylan? It was a Dylan- heavy post! Please tell me that you young punks got the reference!! I hear you Allan… I’m kicking my draft prep into overdrive. Clocks ticking…. Did you forget to Tell us if the sox won the game or am I just getting old? It’s Spring training… It was scrub city! Its just spring traning, it doesnt matter…. That’s easy. It doesn’t. Interesting stats though. Spring training doesn’t matter. In the beginning, your lucky to see 3 starters in a game. If spring training mattered, We’d stop signing all these $100 million dollar contract, use nothing but prospects & A,AA ,AAA players in games. Spring training, its like a vacation before work begins. It’s pure. I think you guys are missing the boat on this one. Spring Training can absolutely matter. Now am I saying that if the Giants have a bad spring, there doomed to a bad season? Absolutely not. But say a team like the Blue Jays, with all those expectations and has never won before. Dont you think if they have a bad spring they’ll be holding the bats a little tighter when the season starts? Dont you think they’ll looking to show everyone that spring training was a fluke? If RA Dickey has an ERA over 5.00 in spring training, you dont think the fans will start to grumble they traded for a flash in the pan? I think you guys are underestimating the effects Spring Training can have. I appreciate what your saying Dan, but how can it be a true barometer when teams are using hodge podge lineups of regulars mixed with AA players? Spring training is about loosening up the pitchers arms, hitters getting their timing down, and hopefully no one getting hurt. There are very few players vying for roster spots. Teams know for the most part who’s going to be on the opening day roster. I love Spring training! But, I’ve never lost a minute of sleep when my team loses a game in mid-March. 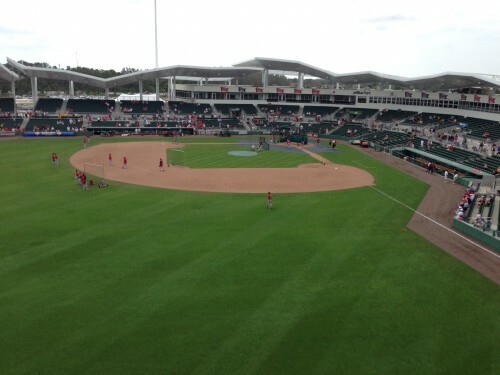 Spring Training doesnt matter… Its like the NFL preseason or the NHL’s entire season. Do you think it matters how well Will Myers does in spring training? NO, the Rays are still going to postpone his debut to gain more control of him. Lol. So why does it matter if he bats .500 or.120? The World Baseball Classic has started! So you guys do watch the World Baseball Classic then? I guarantee John Lackey wins more games than any one of the Rays starters this season. That’s money well spent! Sorry Dave, couldnt resist. Is it draft day yet?? All my predictions can’t be home runs Dan.. Lol! I started doing some mocks yesterday. I usually start in January, but oh well. It seems harder to get into a groove and anticipating who’s going where. I talked to Willisbetheyear today and he ran into the same situation. Maybe, we just need more practice?